South Today appears to be using Southampton Studio B tonight. 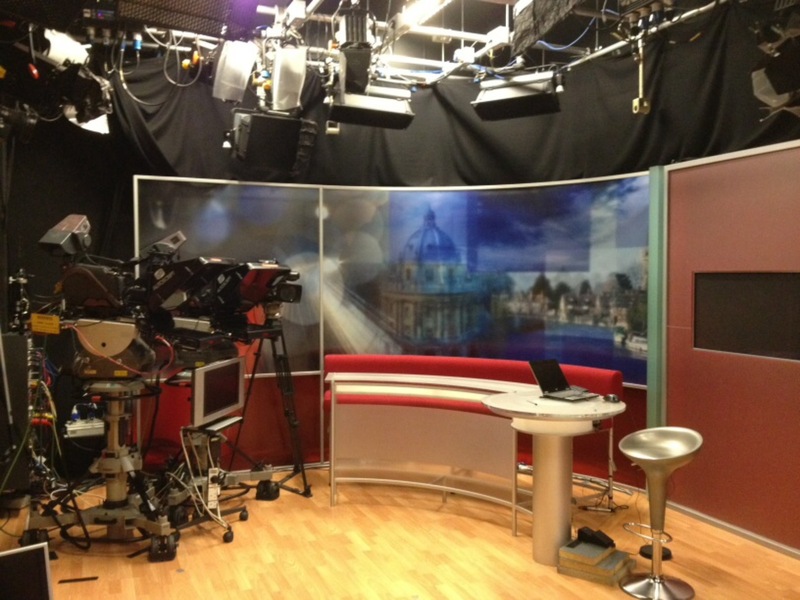 Unusual - the recent preference has been to use Oxford for a pan-regional bulletin when Studio A is out of use. Annual lighting grid checks or something else? Do they have two sets or have they moved part of the main set into B? Looks like a slightly rehashed version of the ‘Oxford’ set that used B before the Oxford studio opened. Just took a look on iPlayer - would say it's the BBC Oxford set from 2007 with some alterations (such as the grey floor rather than wood effect) to make it look slightly less outdated. The basic set will have now seen use (albeit sparingly in recent times) for 11 years! Yes that’s the old Oxford set, with the flats in a slightly different order. That desk also cropped up in Salford during the Rio Olympics I think as a “Breakfast Olympics Hub”. That set was never used in Studio B for the Oxford sub opt itself though. Yes, when the sub opt began it started from Studio B. In 2004 the presenter moved up to Oxford while the gallery operation stayed in Southampton. Oxford then fitted out an old radio music studio a a tv studio and the associated control cubicle as the gallery, which opened in Autumn 2005. 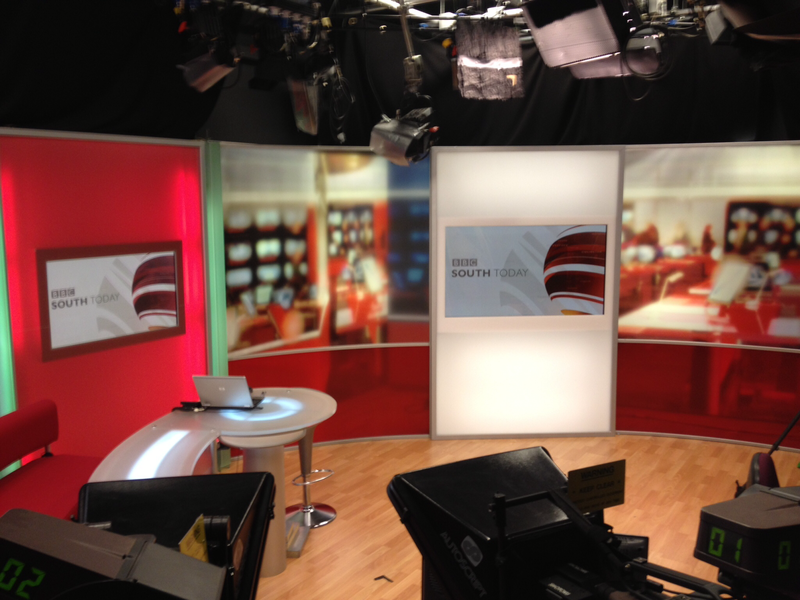 The set currently back in studio B was put into Oxford in 2007 and lasted until April 2014. Yes - the downside of a lighting installation with proper hoists is that they have to be safety checked regularly, which means bringing them all down to their lowest positions. 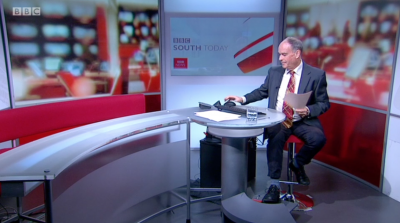 Not an issue in most modern BBC English regional studios as they usually have much lower-cost, fixed-height lamps on tubular 'scaffold-style' constructions instead. I'd love to know which facebook group that is, I saw photos of last years inspection. I didn't see any notices of this years one. Sally confirmed they are in Studio B for a couple of weeks, so could a new set be on the way? I heard and wondered the same, even if no new set a couple of weeks would imply some new kit or something to fit and test. Oooo etc. Checked and it is just a regular MOT for all the lights and electrical equipment. So don't get your hopes up for anything different when they end up back in the main studio. There is some additional lighting wiring going in as well at the moment to facilitate moving to newer fixtures and control. Southampton has up til now had a traditional dimmer room and lighting circuits rather than mains and DMX distribution.